Large wall art that makes a bold statement can be expensive. It looks amazing but oh that price tag is just too much sometimes. I’m going to show you how to make DIY wood wall art for a fraction of the price you might see in stores. You can use this technique to transfer an image to wood and create bold and beautiful statement pieces for your home. If you like simple inspiring projects like this, subscribe to Creative Ramblings. Be sure to watch the video for all the details on how to make DIY wood wall art using this fun little technique. Here is what you need to transfer an image or photo to wood. 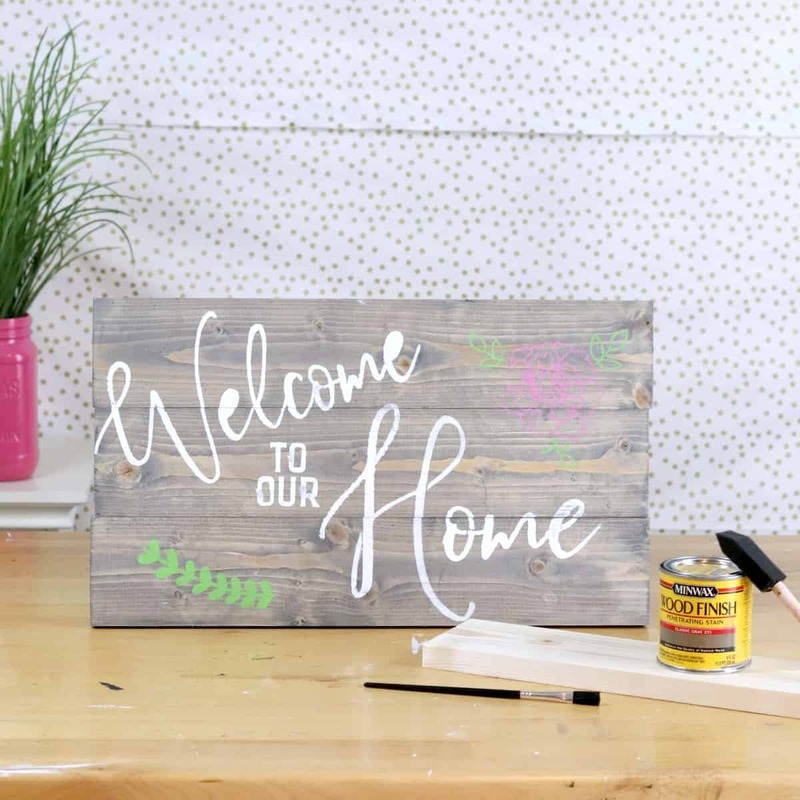 If you love wood wall art, check out this post on how to build paint and stencil a wood sign. 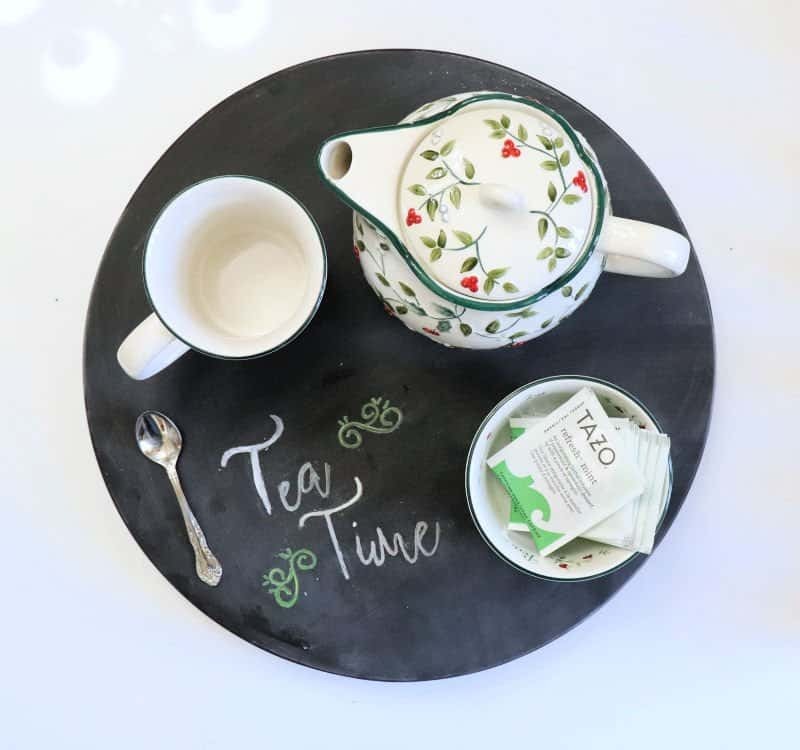 You’ll be decorating your home and gifting all the signs with these tips. 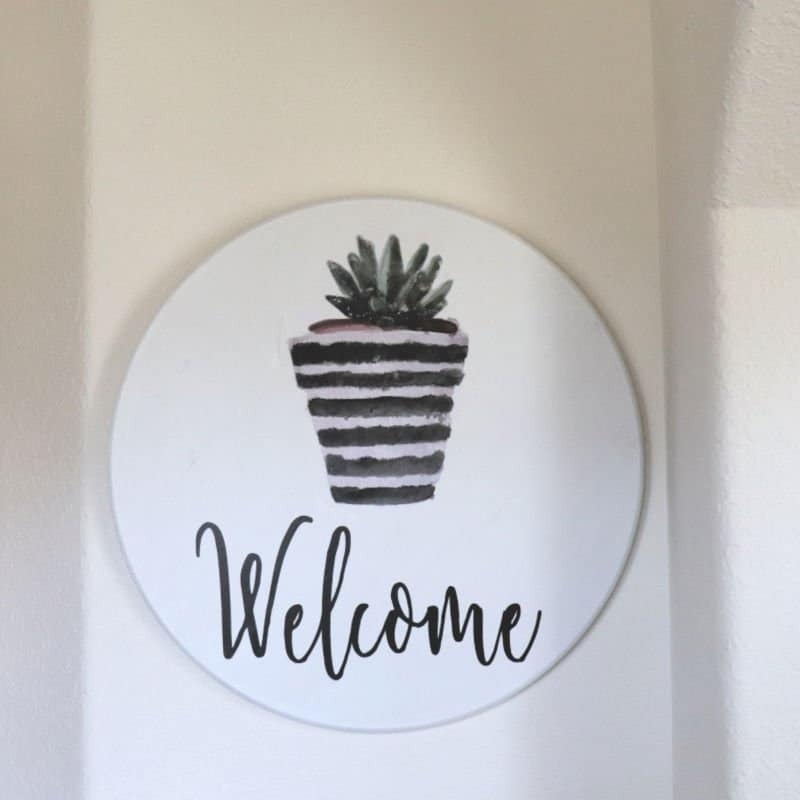 To create this DIY Wood wall art I used an 18 inch wood round I purchased at Home Depot for $6.50, white chalk paint and vinyl for the word Welcome. There are 2 keys to transferring an image to wood. 1) you must use a laser printer to print or copy an image. 2) you must use Mod Podge. Here’s how I made this pretty wood wall art. I started by painting an 18 inch wood round with white chalk paint and let it dry completely. Once it was dry I took a pretty succulent print and made a copy at my library on a color laser printer. It ran me $.50 and was totally worth the money to make this wall art. I brushed a layer of Mod Podge over the image then pressed it image side down onto the wood. Then I let it dry overnight. . When the Mod Podge was dry, I used a sponge and water to slowly dissolve and wipe away the paper leaving the image behind. Voila! Beautiful wood wall art for $7! Pin this project and share it with your DIY loving friends! 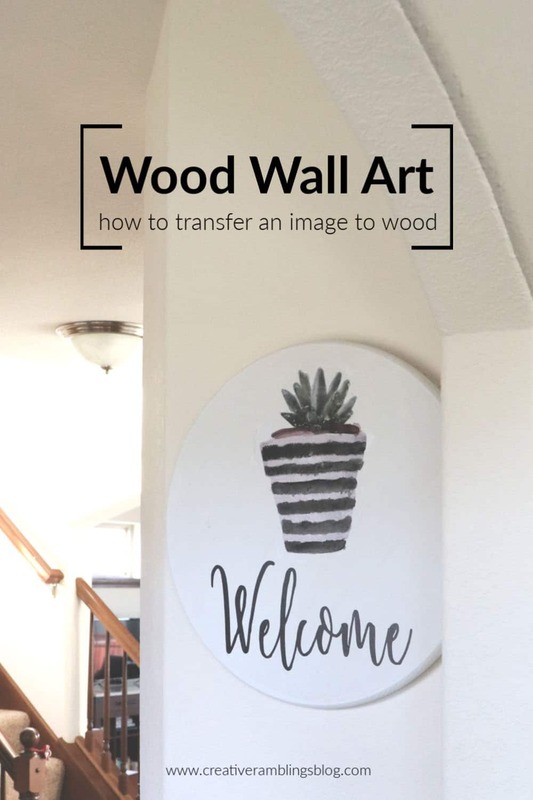 To dress up this wood wall art I cut the word Welcome using my Silhouette and added it below the potted succulent. Then I hung it in my foyer to freshen up the space. Be sure to watch the video for all the details and subscribe to Creative Ramblings on YouTube for lots more simple inspiring projects. The wall art is beautiful, and I love to do crafts that don’t require special tools and sophisticated talent!